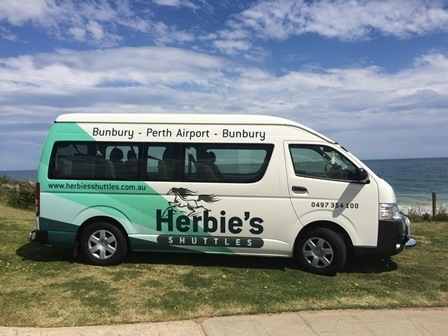 Daily shuttles to and from the Perth International and Domestic airports. Departing Bunbury, Eaton, Australind and Treendale, then heading up the South Western Highway, with pick ups at Brunswick, Harvey, Cookernup, Yarloop, Waroona, Coolup, Pinjarra, Cockburn Station and onto the airports. 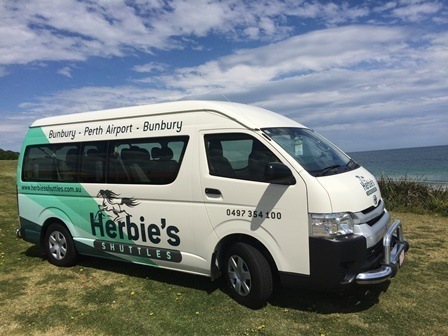 All our buses are brand new, air-conditioned and have 13 seats available. We have a luggage trailer so that you can travel in style and so can your bags.